A friend and former college student recently gave me her grandfather’s western library, including the leatherbound set of the stories of Louis Lamour. 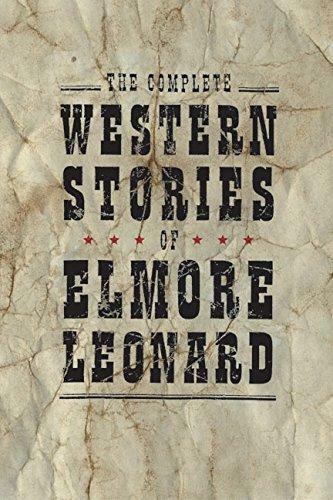 Included in this box of beautiful books was The Complete Western Stories of Elmore Leonard. These thirty stories, set almost entirely in Arizona and New Mexico Territories, brought to life that region of the West. The detailed sensory and detailed descriptions of the settilng and are amazing in Leonard’s writing. When I read, I have a habit of looking up every plant, animal, historical fact, geographical place, phrase or word that I am unfamiliar with. Thanks to the instant knowledge of the Internet, it is much easier to do that now than it used to be. We truly live in an age of instant knowledge. Leonard’s knowledge of the Apache culture, mindset, skills, chiefs, and wars especially stood out to me.